Scearp Digital™ Acceptable Use Policy described below defines the actions which SD considers to be abused and strictly prohibited. There are no exclusions in this listing. Please, be aware that the actions listed below are also prohibited from other Internet Presence Providers (IPP’s) and their users on behalf of SD to advertise any service hosted by SD or connected via the SD Network. As defined by the Federal Trade Commission Deception Policy Statement, such services are not to be advertised by way of deceptive marketing policies. For abbreviation purposes, Scearp Digital will be referred as SD and companies or individual account owners using our services as CUSTOMERS. Ensure security, reliability and privacy of SD systems and network, and the networks and systems of others. Avoid situations that may cause SD to incur civil liability. Maintain the image and reputation of SD as a responsible organization. The Acceptable Use Policy below defines the actions which SD considers to be abusive, and thus, strictly prohibited. The examples named in this list are non-exclusive, and are provided solely for guidance to SD customers. If you are unsure whether any contemplated use or action is permitted, please send mail to abuse@scearpdigital.co.za and we will assist you. Please note that the actions listed below are also not permitted from other Internet Service Providers on behalf of, or to advertise, any service hosted by SD, or connected via the SD network. Furthermore, such services may not be advertised via deceptive marketing policies, as defined by the Federal Trade Commission Deception Policy Statement. General Information. As a provider of Internet/World Wide Web access, web site hosting, and other Internet-related services, Scearp Digital, INC. (“the Company”) offers its customers, the means to acquire and disseminate a wealth of public, private, commercial, and non-commercial information. the Company respects that the Internet provides a forum for free and open discussion and dissemination of information, however, when there are competing interests at issue, the Company reserves the right to take certain preventative or corrective actions. In order to protect these competing interests, the Company has developed this Acceptable Use Policy (“AUP”), which supplements and explains certain terms of each customer’s respective service agreement and is intended as a guide to the customer’s rights and obligations when utilizing the Company’s services. This AUP will be revised from time to time. 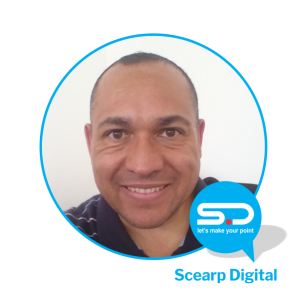 A customer’s use of the Company’s services after changes to the AUP are posted on the Company’s web site, https://www.scearpdigital.co.za under the Legal Details section, will constitute the customer’s acceptance of any new or additional terms of the AUP that result from those changes. One important aspect of the Internet is that no one party owns or controls it. This fact accounts for much of the Internet’s openness and value, but it also places a high premium on the judgment and responsibility of those who use the Internet, both in the information they acquire and in the information they disseminate to others. When subscribers obtain information through the Internet, they must keep in mind that the Company cannot monitor, verify, warrant, or vouch for the accuracy and quality of the information that users may acquire. For this reason, the user must exercise his or her best judgment in relying on information obtained from the Internet, and also should be aware that some material posted to the Internet is sexually explicit or otherwise offensive. Because the Company cannot monitor or censor the Internet, and will not attempt to do so, the Company cannot accept any responsibility for injury to its users, customers or subscribers that results from inaccurate, unsuitable, offensive, or illegal Internet communications. When users, customers or disseminate information through the Internet, they also must keep in mind that the Company does not review, edit, censor, or take responsibility for any information its users, customers or subscribers may create. When users place information on the Internet, they have the same liability as other authors for copyright infringement, defamation, and other harmful speech. Also, because the information they create is carried over the Company’s network and may reach a large number of people, including both customers and subscribers and non-subscribers of the Company, customers’ and subscribers’ postings to the Internet may affect other customers and subscribers and may harm the Company’s goodwill, business reputation, and operations. For these reasons, customers and subscribers violate the Company policy and the service agreement when they, their customers, affiliates, or subsidiaries engage in activities described herein. Reporting Non-Copyright Violations. the Company encourages Users to report violations of this policy by e-mail to: abuse@scearpdigital.co.za, including in any such report the name of the offending domain (for example, xyz.com) and the type of abuse (for example, Spam, illegal acts, harassment, etc.) in the “subject” field of the e-mail. Reporting Copyright Violations. the Company complies with the Digital Millennium Copyright Act (“DMCA”). the Company encourages Users to report an alleged copyright infringement involving a user by sending a notice that complies with the DMCA which information is located under the Legal section of this website to legal@scearpdigital.co.za.